Photo by Allegra Boverman. At the Peabody Institute Library of Danvers. 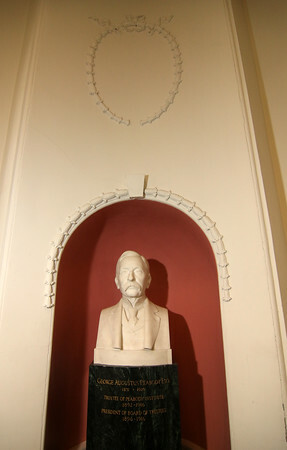 This is a bust of George Augustus Peabody, in the main lobby. He was a trustee and then president of the board of trustees of the library.